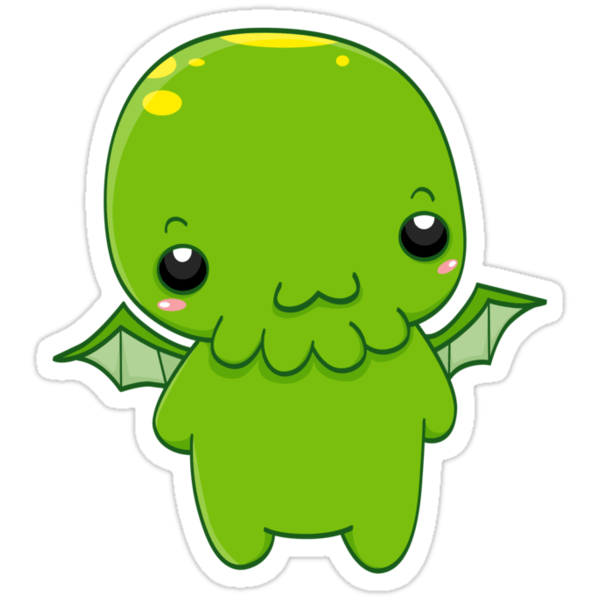 “I back” – Lovecraft Month Roundup. Picture by Digivortex/Peter H. via Deviant Art. Beautiful! – Or, rather than that, sublime! …SO, for the last two weeks, the blog has been relatively quiet – because I was working on stuff. H. P. Lovecraft proved to be a challenge, because of the lack of serious secondary sources. My research has so far resulted in what I take to be a viable concept to present The Call of Cthulhu to middleschoolers. I’ll likely write about it later, but the main step is to condense the immense contextualization that is needed into one single unit, and then work with the text. Contextualization, meaning to treat with the culture of pulp magazines, theosophism, and, mainly, from the children’s perspective, the underlying racism that accompanies all of Lovecraft’s works. I leave the links blank, to further pique your interest. Go read them, check them out, they are worthy additions to the world of Lovecraftian studies. In connection to that, something that might not have come through over the last few – months – really: I enjoy Lovecraft’s writing, but, and don’t lynch me for it, fanboys, I wouldn’t read it for its own sake.